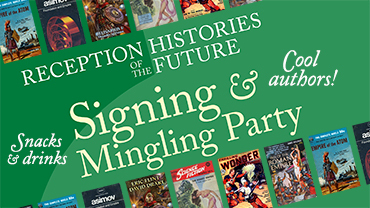 We are proud to be able to welcome you to a Signing & Mingling Party with authors & guests from Reception Histories of the Future – a conference on byzantinisms, speculative fiction, and the literary heritage of medieval empire. Meet & mingle with the guests and authors, get their books and have them signed. Drinks & refreshments. Free! Click Read more to, well, read more about this exciting evening in the bookshop.